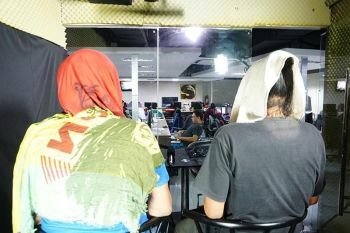 LINGAYEN, Pangasinan -- A high school student from Pangasinan, who won the first ever national Bible quiz finals, would use her cash prize mainly for the children’s ministry in Bayambang town. 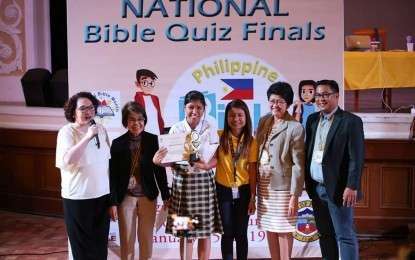 Jireh Ceralde of Turac National High School in San Carlos City, Pangasinan (Northern Luzon), first-placer in the high school category of the Bible quiz national finals held here on Tuesday, January 15, said the ministry was started by her grandmother in 1992, which her family continues to support until today. “The prize will be used in service to the Lord... 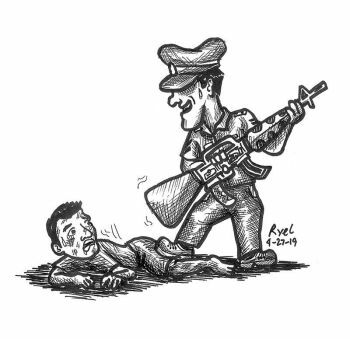 It (cash prize) will also be shared with the people (Turac National High School both Junior and Senior High and my family) who helped me to get through,” Ceralde said in an interview via Facebook on Thursday. Mikaella Ramirez of Olongapo Wesley School (Central Luzon) won the second place in high school category, followed by Christian Francisco of Urdaneta City National High School in Urdaneta, Pangasinan (Northern Luzon) and Victor Angelo David of Dr. Yanga's Colleges Inc. in Bulacan (Metro Provinces). In the elementary category, Andrea Allen Alegre of Biga Achievers' Learning Institute in Cavite (Metro Provinces) won the first place, followed by Hanz Efren Abantao of Pasig Christian Academy in Pasig City (National Capital Region), Lei Judiel M. Lucas of St. John the Baptist Catholic School in Bulacan (Metro Provinces) and Nathaniel Desierto of Baguio Pines Learning Center (Northern Luzon). President Rodrigo Duterte last year also issued Presidential Proclamation 124 declaring the month of January as the National Bible Month.